If you're a techie, then you should consider following Microsoft's new CEO Satya Nadella on Twitter. He gained more than 100,000 new followers in less than 2 days. 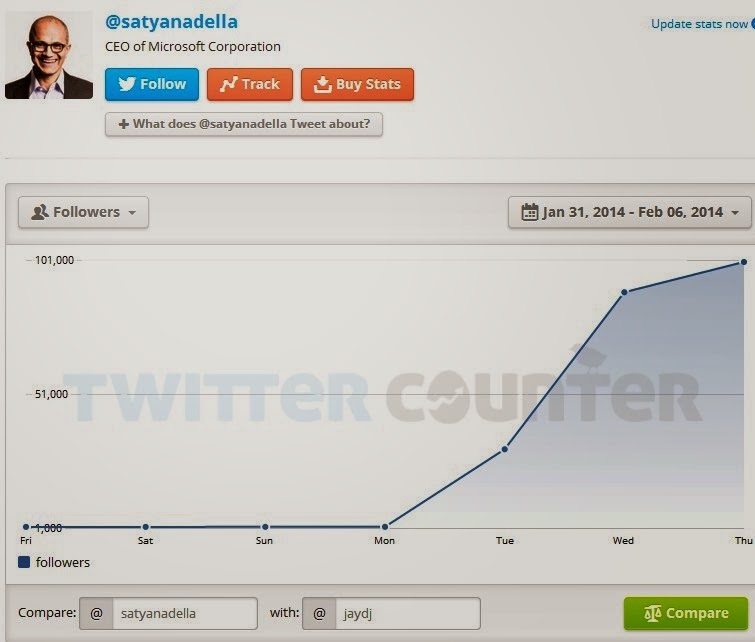 Follow Satya at @satyanadella. Follow him to see what initial tweets he'll make about Microsoft and the IT industry.